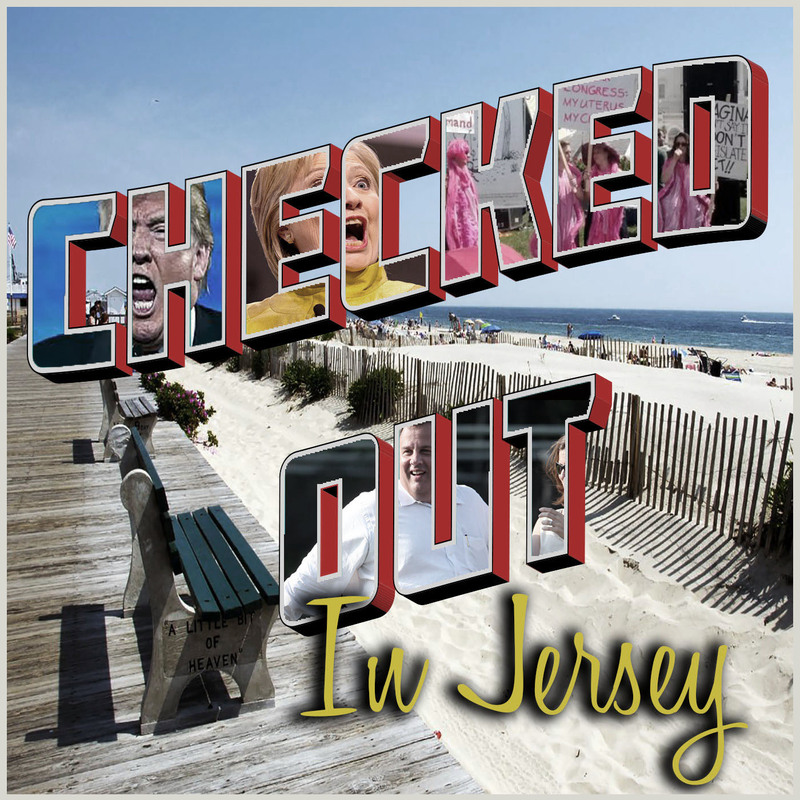 Checked Out In Jersey Episode 709- "Fare Thee Well" or "Finally! The Finale"
Well, all good things must come to an end, they say. So why is THIS ending? We haven't been good at anything since high school and, even then, it was all relative. But I digress. Due to other interests, personal calamities and plain old burn out, we've come to the end of the show FOR NOW. Maybe forever, but probably not. We thank all of you for listening regularly and telling your friends about the show. It really does make us feel good to see our numbers grow over the course of the year. We ended last month with over 48,000 downloads on our RSS feed. Not too shabby for one month. We'd also like to thank Sophia Eptamenitis for the good work finding us guests in this last season. We're looking forward to working with her on our future projects. And speaking of guests, we can't say "good-bye" without thanking all the people who have deigned to come on our piddly little show for an interview. There are too many to mention one by one so we'll just go according to who got the most downloads: Brad and Katie from "Decomposition Podcast", Daddio Sugar, Justin Benson, John David Booter from "Done Disappeared", Tony Germinario, Kevin Interdonato, Matt's cousin Katie, Audible Soul, Whateverwise and Governor Christie's Belly. Last but not least, thanks to all the third and fourth chair players since the show began in 2015: Trippy Trev, Erik, Turbo Buttead, Jimmy the I-talian, Mario the Millennial and Zain and Lea. You all contributed greatly to the show during your tenure and we've always appreciated it, regardless of what you may think. Tony Germinario, Jason Patrick and Superfan Mark, thanks to you, too, for your interest in the show as listeners and our reliable "rotating third inputs". Most of all, our sponsors, without whom we probably wouldn't have lasted this long. At the top of that list is Daddio Sugar and the Big Box of Magic for being steadfast in your support and enthusiasm for the show. Thanks also goes to The Patriot Militia, Admiral Air Tech and Gettysbike Tours. Ok, here's what's on this episode: would Pete's soundbites fit in to "Addressing Gettysburg"? Frances Mcdormand's laugh and preachy speech; The Bang Apple Cart, the top 10 and bottom 10 countries that download the show; the WORLD PREMIERE of Fakeline NDC's "Who IS Daddio Sugar?" featuring Keith Morristown; Billy Webster and Daddio Sugar perform their heartfelt tribute to the kings of New Jersey podcasting, Matt and Pete, with their song, "Thank You"; Daddio Sugar's slideshow of memories he wouldn't have had if it weren't for Matt plucking him from obscurity and making him a star; and Matt and Pete's touching (and oft-interrupted) good-bye to the fans. Finally, please give our new show a try. Yes, it's a history show, but NO it won't be boring. How old are you? Haven't you learned to try things before you'll say you don't like them? For shame! What would your mother say? Why, she'd say, "honey, join their mailing list and listen to the show when it comes out. Who knows? You might find you're a history buff after all." So listen to your mother. Go to www.addressinggettysburg.com and join the mailing list.